At Kingchem, we understand the importance a strong analytical team plays in the success of your product. 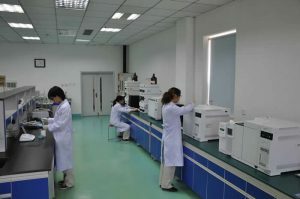 Kingchem’s analytical group is highly experienced and well equipped to support all R&D and production activities. Our group leader and staff have many years of experience in both fine chemical and CRO/CMO industries. We know that the issues facing the industry around regulations and guidances such as Quality by Design and Q11 require that a fundamental understanding of the impact of impurities on the API quality are of utmost importance. Our analytical scientists, work hand-in-hand with process chemists, and have the tools and expertise to understand the issues related to fate-and-purge of impurities, as well as high level structural elucidation. 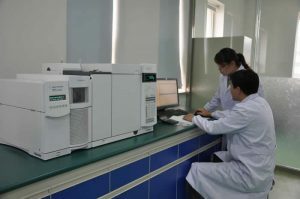 A large number of Agilent HPLC/GC instruments serve as the primary tools for method development, validation, and in-process testing and control. Other available analytical instruments include GC-MS, LC-MS, NMR, FT-IR, UV-Vis for structure determination/identification, and DSC for thermal analysis. Kingchem analytical R&D is a part of our integrated services that supports process R&D and product launch. We routinely perform method development and validation, release testing, and stability testing. In addition to supporting route-scouting and early research activities, we are also capable of performing production OOS investigations.